About Superior Door Service, Inc.
Home/About Superior Door Service, Inc. The retail division sells and services residential and commercial garage doors and openers, docks, hollow metal doors, hardware and all related applications. Superior Door Service has one of the largest parts department in the metro area with over 1150 stocked parts for ALL major brands. We are open to the public Monday through Friday, 8:00 – 5:00. The wholesale division also sells parts on ALL major brands and LiftMaster openers to small and large dealers alike. Our Mission is to offer every customer safe and reliable state-of-the-art products and provide them with professional services that meet and exceed their expectations. Our Vision is to consistently raise the industry standards for residential and commercial door sales, installation, service and repair in the Kansas City metropolitan area. 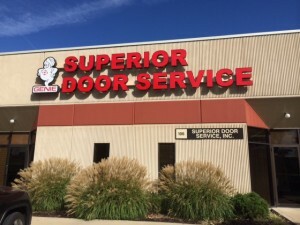 Superior Door Service was founded in 1955 and opened its doors in Raytown, Missouri. In the late 70’s the company moved to Johnson County Kansas. 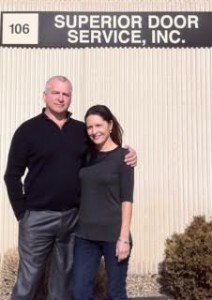 Mike and Lori Nikolas bought the company in 2006 and are conveniently located just minutes from downtown in Kansas City, Kansas. 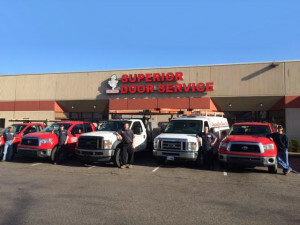 Superior Door Service is a small, local company with 12 employees and a fleet of five vehicles fully equipped to meet the service needs for all our customers in the Kansas City metro and surrounding areas. Here at Superior Door Service, we know that the key to offering our clients award-worthy service is employing a staff that consistently operates in excellence-and that’s exactly what we do! When you hire our team of technicians for all of your garage door installation needs, you can be certain that they’ll arrive on time and with fully loaded trucks containing all the equipment necessary to complete your project. Moreover, our technicians are big believers in offering great customer service, and that’s why you can expect to receive service with a smile. Membership means you will be working with professionals who meet our industry’s highest standards and have access to the latest industry news and most advanced garage door systems. 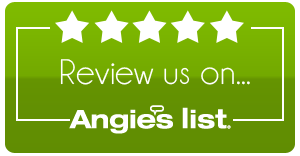 We’re committed to remaining your garage door professionals.